If you are someone with a disability you probably already know the answer to this question, which on the surface appears pretty clear. 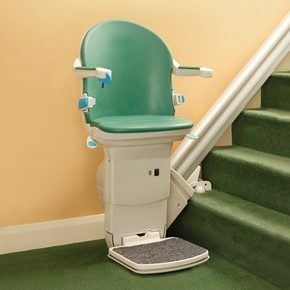 But, think about it, what is a stair chair lift? There are two possible meanings that actually make sense. 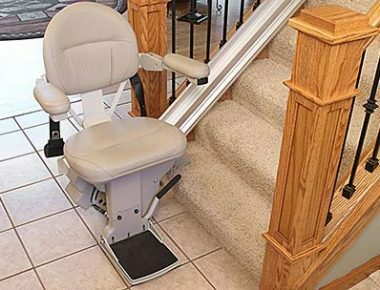 According to the first definition, a stair chair lift contains a seat for the person to sit on after transferring from a wheel chair. 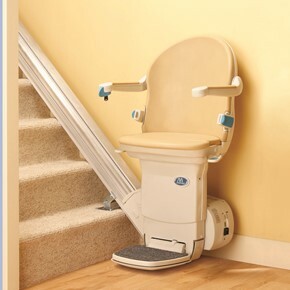 It is supported on the stair treads, not connected to the wall. There are seated, or perch (standing) styles available, and straight and curved stair lifts designed for outdoor installations on a deck or porch. 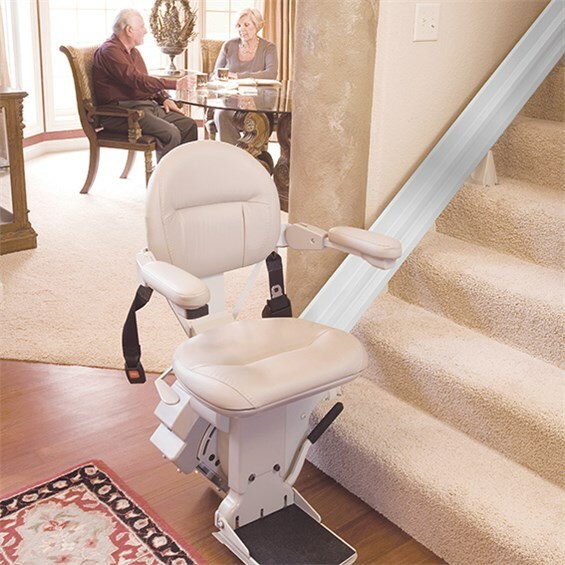 It folds up so that other family members can easily navigate the stair. Definition No. 2 gets a little stickier… A stair lift that carries the wheelchair with the person in the chair is actually called a platform lift, and there are two main types. 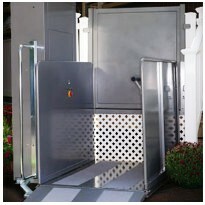 The vertical platform lift is situated either in the garage, off the back deck, or adjacent to an interior landing to carry a chair lift passenger vertically between floors. 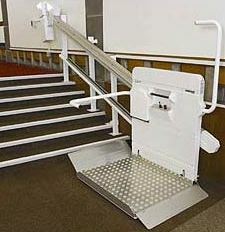 The inclined platform wheelchair lift is installed on a stair, with a platform for the wheelchair to ride on. 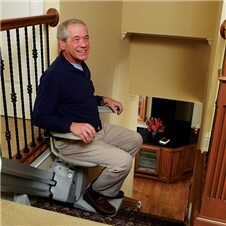 It is equipped with a fold-up platform that lifts out of the way when the stair is not in use. 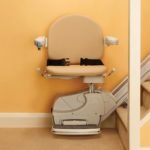 Contact Stair Lifts Atlanta / Atlanta Home Modifications for information about the installation of a platform lift, elevator or stair chair lift for the interior of you home, and about outdoor stairlifts, as well. 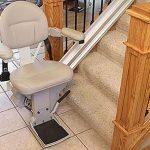 Call us today at 770.880.3405 for an appointment with a stair lift specialist certified by the State of Georgia as you consider a stair chair lift, aka stair lift, vertical platform lift or inclined platform wheelchair lift for your home. This entry was posted in Atlanta Stair Lifts, Platform Stairlifts and tagged Atlanta Marietta Athens Gainesville stair lift installer, incline platform wheelchair stair lifts, Stair Lift or a Stair Chair Lift, Vertical Platform Lift (VPL) for Wheelchair, Wheelchair Lift. Bookmark the permalink.